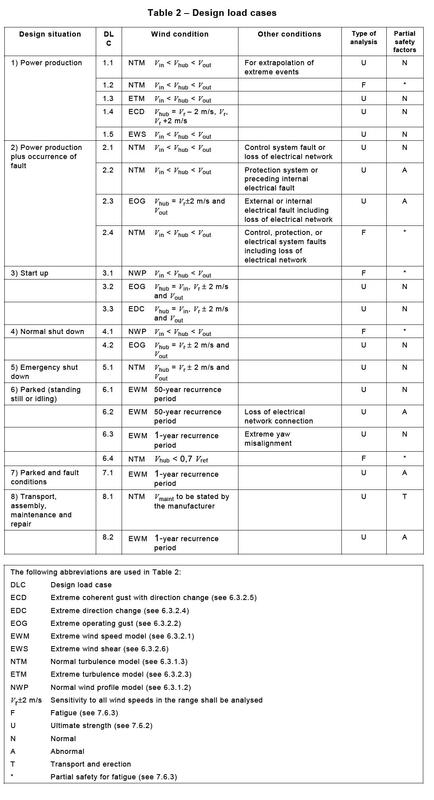 Here you have my collection of errors I frequently see when I check wind farm project developed by external companies. Being a quite peculiar sector is no surprise that I normally found several mistakes: here you have the most commons. Error #1: two levels crane pad / foundation area designed without considering the slopes of the foundation pit. 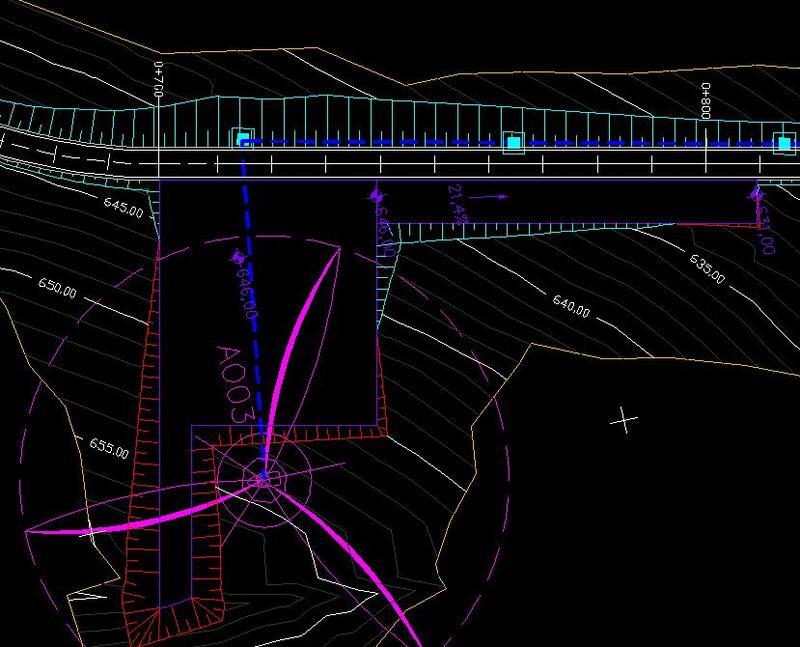 Here the problem, as you can see in the transversal section, is that the slope of the foundation pit “enters” inside the crane pad and the road nearby, reducing the available space. The only way to build something similar is with a "2 steps" constructive approach, i.e. to build the foundation, to close the hole and after to build the crane pad. An example of this 2 steps approach can be seen in the following drawings, taken from a real wind farm. The ground was very steep, so first of all we calculated the elevation of the bottom of the foundation pit to ensure the necessary soil covering that help balancing the overturning moment. In several cases the result was that the center of the foundation was too far away from the border of the crane pad (around 16 meters), making difficult the work of the main crane (a standard distance is around 10 meters). Error #2: crane pad and foundation on an embankment. The problem here is that the foundation must be realized below the natural ground for stability reasons. Normally the depth of the bottom of the foundation pit is around 3 meters, calculated from the lowest point of the terrain around the circumference of the foundation. But if in the project the WTG is shown on an embankment, probably the stair or even the tower door will be below ground. In the transversal section you will see clearly the problem. But then, when we check the longitudinal profile, we discover that the road is going down (while obviously the platform stays at the same level, 646 meters). The only way to build something like that is to use a wall to retain the earth inside the crane pad, but this is obviously not the case. 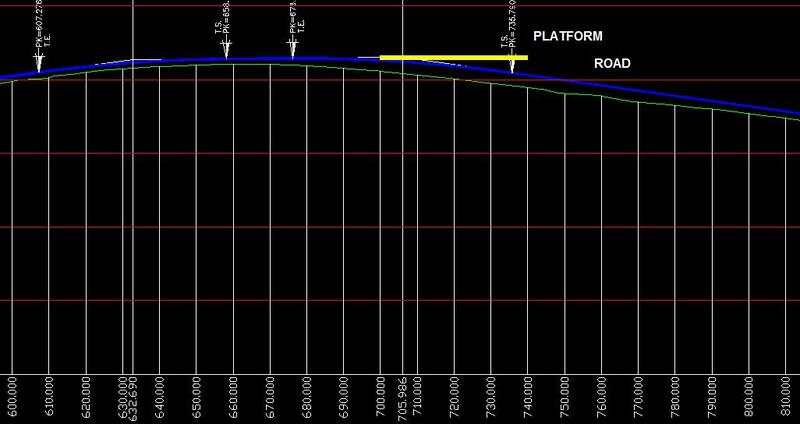 In the longitudinal profile above you can see the platform in yellow and the road in dark blue. Sometimes the Kv parameter for the vertical transition curve, defined as is not adequate. This happens when it’s lower than 400 – 500: in these cases, the truck can remain “stuck” because it touches below. 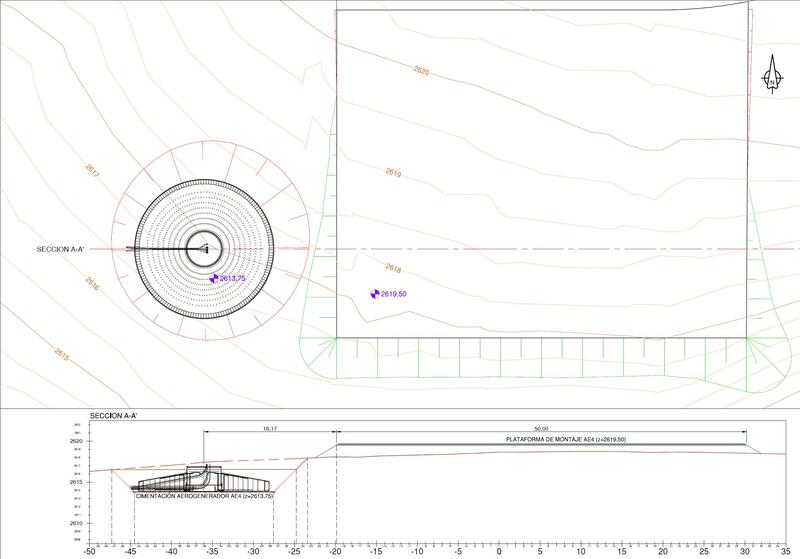 Wind turbines foundation design is an art (and a job) by itself. Here you have a very quick overview of the process for shallow foundation (Patrick & Henderson foundation, widely used in the USA, follow a totally different approach) . 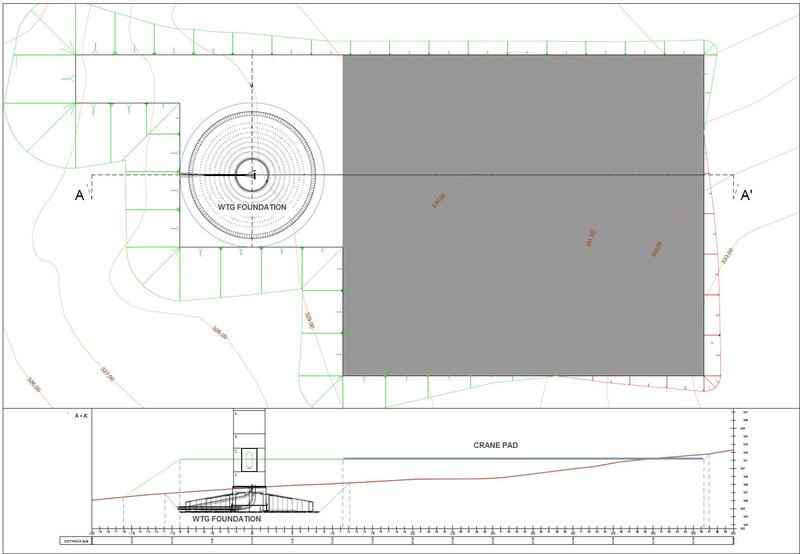 The inputs for the foundation design are the result of the geological survey and the design loads. 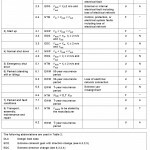 The geological survey gives the structural engineer key parameters to define the soil: internal friction angle, cohesion, density, Young modulus, shear modulus, etc. The number and type of parameters will depend on the type of materials below the foundation: expansive clay will need different test compared to sand or rock. Design loads are provided by the manufacturer of the WTG, who has standard documents with the different type of loads (usually available data includes operational loads, extreme normal loads and extreme abnormal loads, together with fatigue calculation data). 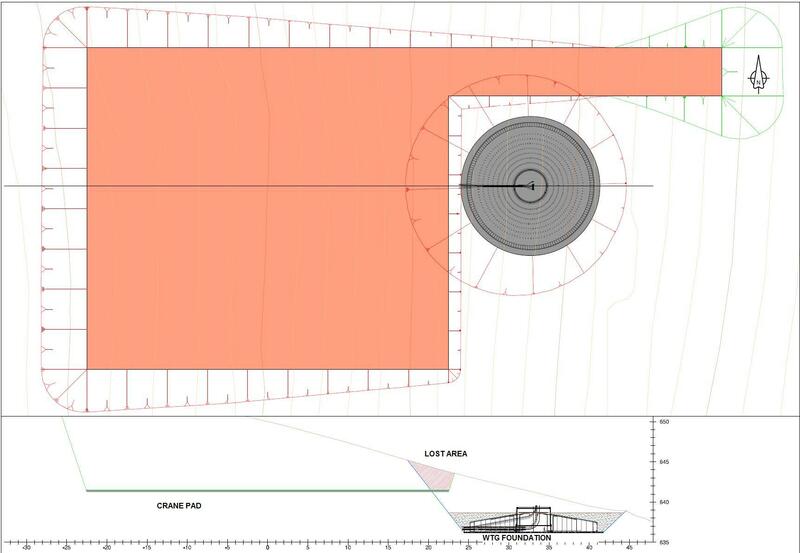 Guidelines for Design of Wind Turbines, DNV/Risø. 2002. Transportation, installation and maintenance design situations and appropriate external conditions. 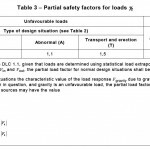 The design load cases must be analyzed at fatigue (F) or at ultimate loads (U). 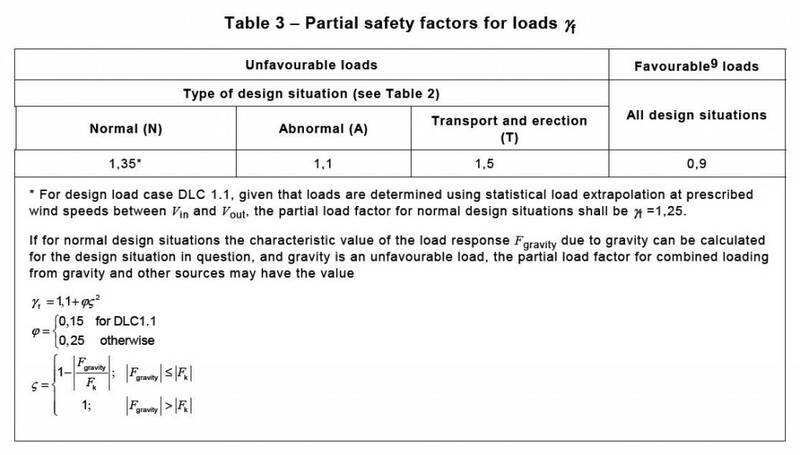 Ultimate loads are defined as normal (N), abnormal (A) or transport and erection. Several load combination are checked: for every ULS (ultimate limit state) and SLS (serviceability limit state) the correct partial factor is used, to diminish stabilizing forces and incrementing destabilizing forces. The same load type can have a different partial load safety factor, depending on the verification made. For instance, in the case of overall stability, the bending moment at the tower base has a factor of 1.35 for normal loads and 1.1 for abnormal loads. 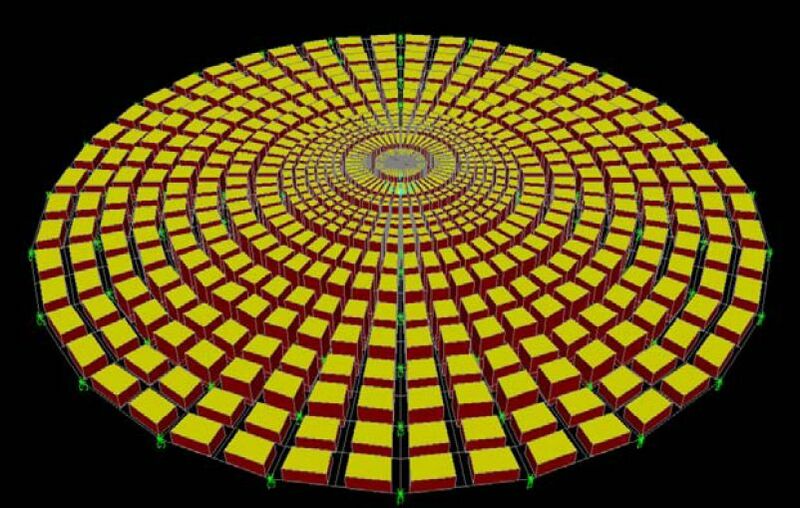 Seismic loads must be analyzed separately and they are normally combined with the turbine operational loads. It is of critical importance to recognize that seismic plus operational loads may in some cases govern the tower and foundation design. Not to exceed the bearing capacity of the soil: the soil pressure must be lower than the allowable bearing pressure. Not to exceed the maximum differential settlement provided by the manufacturer during the life of the structure (normally few millimeters/m). 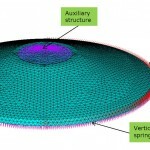 The differential settlements are normally calculated using a finite elements models software, simulating the composition of the different layers of materials below the foundation. 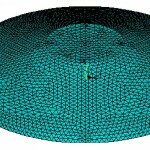 To comply with the minimum dynamic rotational stiffness given by the manufacturer (to limit the potential coupling phenomena with the rotating parts of the WTG). 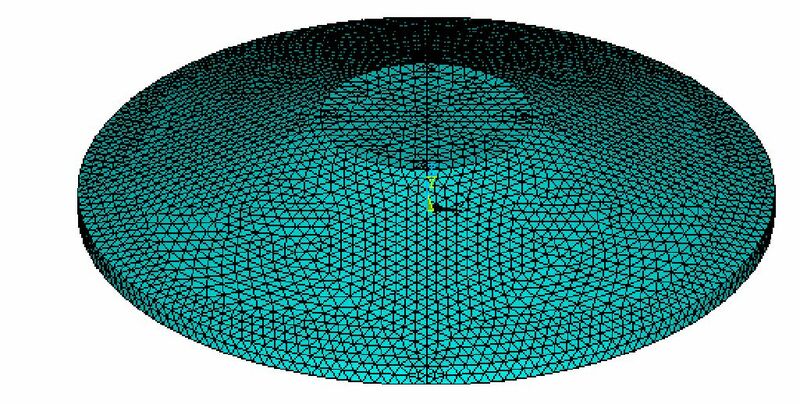 The compressed area below the foundation is normally assumed to be 100% for operational load and at least 50% for other loads cases. The first step is to define a tentative geometry: than, if the various checks are satisfied (overturn, slide, bearing capacity, etc.) 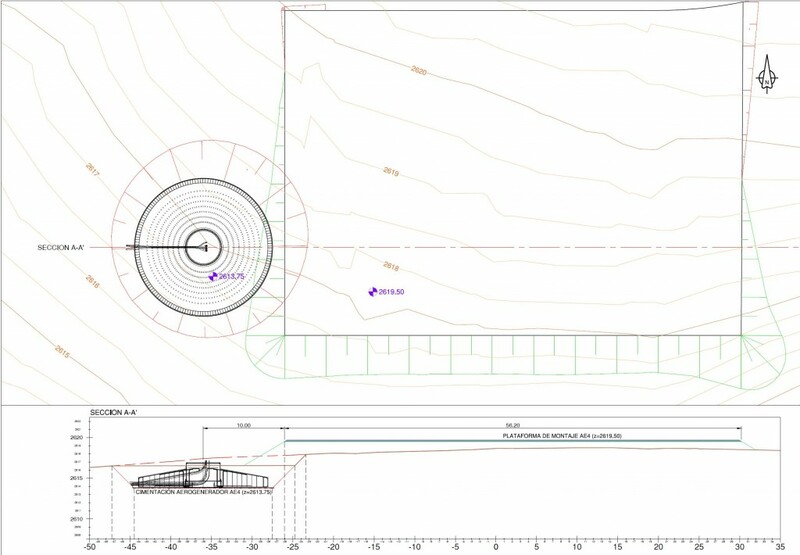 a detailed analysis with a finite elements software is made, to define the amount of reinforcement needed: from nodal stress distribution along the most unfavorable positions of the cross section, necessary mechanic capacity is calculated,and the amount of steel (mechanical capacity) necessary to withstand the calculated stresses is compared with the amount of steel placed in the section. Clearly, the first must be lower than the second. 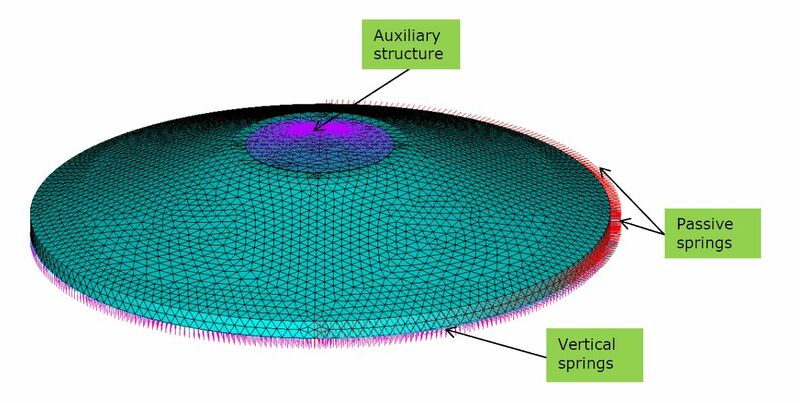 The calculation can sometimes lead to the conclusion that a shallow foundation is not feasible, due to low bearing capacity, insufficient rotational stiffness or many other possible factors. In these cases, a soil improvement is made or a deep (piled) foundation is calculated. 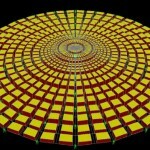 These alternative solution are normally quite expensive: depending on the country and the technology needed, the extra cost can vary from 50% to 100% and more.